When twitter was still young, users would favorite tweets with no clear objectives since their use was still unclear. People were used to liking on Facebook and so, with a new feature on twitter, they tended to use it for the same purposes as like. However, the use of the feature has become more defined over time as people learned the nooks and crannies of the platforms. Basically, most people favorite tweets as a way of bookmarking them intending to embark on them later when they’ve got plenty of time to read them. The other major reason is to acknowledge that one has seen the tweets but won’t reply to them at that particular time. But there is more to it that just that. Here some other reasons why users favorite tweets that you may not be aware of. Apart from informing the person who posted the tweet that they have seen it, the favorite may also be used to say that, ‘yes l have seen your tweets but won’t be able to reply now.’ Favoriting a tweet prevents the tweet from being buried in the stream and therefore giving one a chance to review them later. People sometimes favorite their friends tweets irrespective of the content as way of showing them that they have seen their tweets. This is where creating strong bonds with those who follow you becomes vita because the more close your followers are to you, the probable they are to favorite your tweets. And since favorites increases engagement rate, then it goes without saying that your account will get better visibility which is what we all want to achieve on the platform. 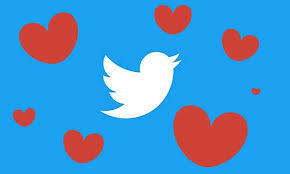 Some people would favorite a tweet when they have a twitter crush. This sounds silly but such favorites do happen and they are actually quite popular. Instead of making a direct approach, faves present a safe way to make a first impression. It may look annoying but twitter is a social site, so making a statement using communication features such as the favorite is part of the deal. Despite the motives. Not everyone is comfortable with writing tweets. After all, those creative and interesting tweets that you normally see takes the hand of a gifted writer to design. So, instead of fumbling with the idea on what actually to post, people prefer favoriting those tweets that they find interesting. It’s interesting but many favorites are as a result of such motives. This is also common with newbies who are still familiazing themselves with twitter and so they may favorite tweets without a solid reason. A favorite is a favorite but for a keen marketer out there, knowing some of the motives that those who favorite your tweets or a brands’ tweet that you represent is key when driving twitter marketing campaign. You’ll need to know how you can harness all these motives into a loyal following with common interest so that it gets easier for you to convince them to buy your products. The rate at which the social media platform is becoming popular is quite impressive. It is a clear indication that there are good things to come. There are numerous reasons why there continue to be marked increase in its use thereby allowing its users to source for automatic favorite. Favorite allows other followers to identify with you easily and incase they want to do business with you; you are sure of having made a mark. The social media platform is about numbers, the more the better and the easier it becomes to identify with others on the platform and or potential customers to be. The feature is clearly understood to have been borne out of users wanting to have a visibility on the platform. There are definitely great benefits that come with it when used correctly. There has over the years been issue with abuse of the automatic feature. When subscribing to the same, it is proper to identify and discuss with your provider beforehand on the best way to use the same. When that is not forthcoming, a few things tend to happen, your account can be suspended for further use or abuse which might no augur well for your already customers. Technology has brought great strides on how things are done. The long hours of having to sit put waiting for an important business call are over. Everything is done at the touch of a button allowing people to spend fewer hours doing chores that took longer to handle a few years ago. The fact that business owners and individuals are now able to increase their network to a large number of people not only locally but abroad has opened a different field in how business is done in the 21st century and beyond, this is something that is here to stay. To be able to capture the same, the automatic favorite feature must be handy. The greatest benefit that comes with the online platform use is that it allows you to share information with a large number of people at the same time, which you would not have ordinarily have done. Once you have subscribed to the automatic favorite feature, it will automatically favorite your item without you as the user having to do it manually. The manual way is good but takes time to achieve the required results. The automatic way will allow you to gain the exposure you are looking for in a shorter period. Finally, it important to note that the rate at which the social media platform is growing is an indication on its implication in the world. The fact that a lot is taking place on the platform is worth a pat on the back. When a business is visible through the automatic favorite, it is a clear indication on the rise in business. People prefer doing business with those they can easily identify with. The automatic favorite is therefore a feature worth investing in for those who want to make a mark and allow their voices to be heard online. With the harsh economic conditions most people would be in a dilemma as whether to purchase a massage chair or not as some models especially if you are into quality can be pretty costly. The reason as to why one should overlook the cost factor and look seriously into acquiring a massage chair is because of the health benefits associated with it. Check some of the health benefits that you can derive from regular massage sessions. Of the things that compel one to purchase a massage chair is to get relief from pain such as back pain which is associated with most adults. Most of the chairs have a significant bearing when it comes to pain relief but that does mean the models are fashioned in a similar manner as there are different models for different body aches. 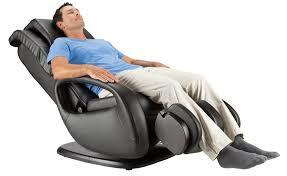 For instance, Merax Massage Recliner Chair with Air Massage System is an ideal choice for back pains. Its 8 massage points enables the chair to optimally serve the purpose of relieving back pain well while the 25 air bags incorporated in the chair gives the user a relaxing and comfortable experience. Sometimes, the body adopts a certain posture in the event of a certain stress on it as a way of achieving quick recovery. Anyone who has ever suffered a back pain can relate with this story. From the onset of the pain, you customarily end up changing the way you sit or stand. The body does this in an effort to reduce the intensity of the pain. As indicated, the change in body posture doesn’t always result from back injury alone. It might even be as a result of working long hours sitting in a bad posture or even much body weight. The body adopts a posture that will relieve pressure from certain muscles and redistribute the pressure to other muscles. A good massage chair is the perfect treatment for such defects. First relaxing the muscles completely which is soothing and secondly by relieving the pressure from the related muscles which eventually improves posture. Statistics indicate that 60 to 75 % of all US citizens undergo stress in their lifetime. Typically there are various stress management techniques used including medication. However, for a person who wants to handle the situation naturally, use of massage chair is the best option. Pain contribute to stress levels. Be it migraine, shoulder pain, back pain etc. regular massage sessions deals with such pains which automatically reduces stress levels. This is one of the unsung massage chairs health benefits without any related side effects that come with doctor’s prescriptions to deal with stress. To add on this, the relaxation that comes with massage sessions helps to trigger endorphins. These are hormones that cause the “feel good” mood in the body. When released, it brings about the well-being sensation in the body which contributes to a good night sleep. Workouts can strain body tissues and it’s normal to feel worn out and pain the muscles. This is oftenly as a result of lactic acid build up in the body muscles causing them to get sore. Massage helps the body to speedily clear out the lactic acid from your system hence eliminating the soreness. Regular massage sessions after workout will leave you rejuvenated and fresh enough to conduct your everyday activities without the worn out feeling that results from exercises. Both of these health benefits results from improved blood circulation and reduced stress. As you begin to relax, your heart rate slows down and as your blood circulation improves your blood pressure drops significantly which further increases the overall body relaxation. 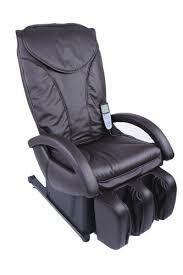 The health benefits associated with massage chairs as you can see are more than you might have first imagined. The most critical part, of course, is matching your specific needs with the model that will best handle them. Someone looking for maximum stress relief will not use same model as someone who is suffering from back massage. Luckily, there are a variety of models to meet your needs. You’ll even find models that combines various functionalities which makes them ideal for dealing with various body massage needs. A massage chair has become an important item to own in this era. Buying one is like buying your first car. It does not come cheap and many people are made to believe. And normally when an item comes with a price tag like that, it’s important to do your research thoroughly to avoid being disappointed at the end. One thing that you will need to know and understand is that there are a large number of brands in the market all offering nothing but the best. This is a good thing but you also need to be sure of what you really want. Most of these chairs offer different features and differ in totally different ways. What you need to do at the time of purchase is to be sure to buy from a reputed brand. Choose from a brand that will give you customer support and above all a warranty. Ensure that the manufacture has a proven track record. This will help you in case there is need late. When you buy from these other manufacturers, you might not have the required customer service. Such important facts should be put in perspective when doing window shopping. There are definitely many benefits that owning a massage chair will allow you to enjoy and such should be considered greatly. The first and most important is the convenience that owning a chair allows you to have. You will save on the amount of time you spend in public massage places while waiting for your turn to use the chair. Most public places require that you make an appointed to be able to use the chairs in question. Sometimes when there is a longer queue you end up wasting time you would have used elsewhere. Convenience that comes with owning one of your own cannot be under looked. Having a chair of your own will allow you to enjoy your famous TV program which you would ordinarily not have been able to enjoy. You can also be able to catch up on some pending work on your laptop as you enjoy massage at the same time. You will also have the choice of choosing on how much time you wish to spend on the chair as there are no limitations. When pressed for time, you can choose to relax for a shorter time than you ordinarily would have done were you in a paying place. Most people wonder where to buy a massage chair from. But this should not be an issue. The online platform has made searching for product easier than you would have ordinarily thought. An internet search will give a wider view of the stores and manufactures around you that sell these products. Once you have come with a list of stores, you will identify the ones that sell the chairs, it would be prudent to look for a few things namely the company’s track record on how long they have been in the market and be keen on the information provided. Most of these companies selling the chairs are resellers and are known not to have all the information at their fingertips. A call to some of these companies will be a clear indication if they know what they are doing. If they don’t answer your call be very wary of them. A simple thing as a telephone call does not take time and if a company is serious in their business, there is absolutely no way they can ignore something as important as allowing their customers and customers to be to get in touch with them. Finally, it would also important to have a clear mind of what you are looking for in a massage chair. This will save you the agony of having to go through a lot of products which is not necessary. By knowing what you want, you will be able to have a shorter list of the features you want in a chair. Look for a company that has a large number of different brands. Through this you will have the chance to test the products and you never know, might even widen your scope on the features you want. There are absolutely great benefits when you take time and source what you want. It will offer you benefits and satisfaction for a longer time.